Services – Atlantic Overhead Door And Dock Inc. Servicing Residential and Commercial Customers for over 16 years. Winner of the Consumer Choice award in Garage/Overhead Doors for the last 3 years. From Overhead doors to loading docks to any commercial products, Atlantic Overhead Door and Dock is able to provide the products you are looking for. 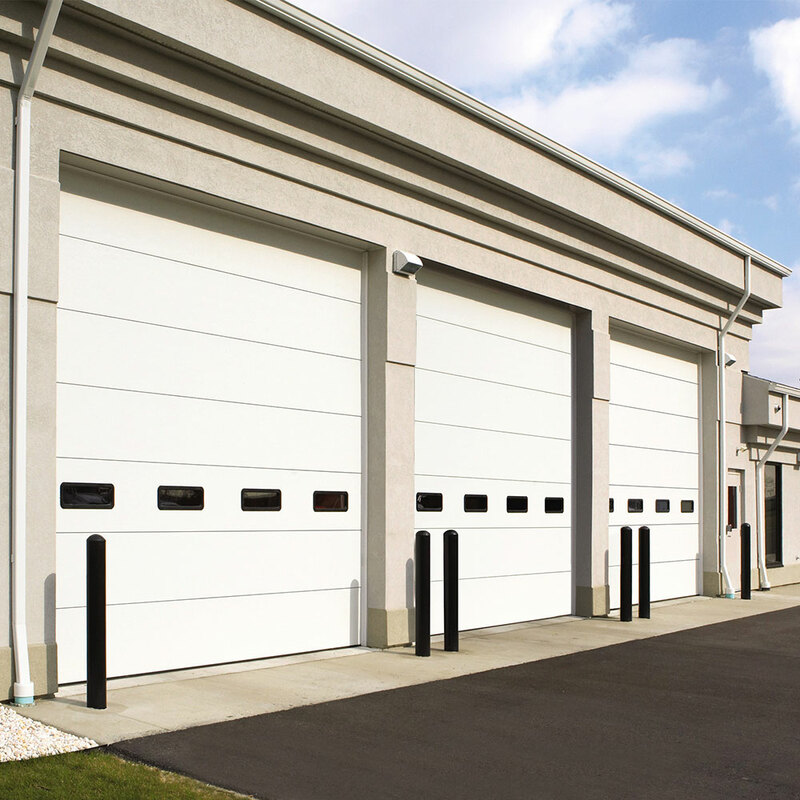 No matter the issue, Atlantic Overhead Door is able to provide you with a solution. We have over 20 years of experience handling all types of service calls. For the best solution and highest quality, contact us today. Are you building a new garage and require a garage door? Or maybe you want to install an electric operator instead of having to lift the door manually. Maybe you can't lift the door or it is stuck and wont come down. These, and many other things, we can fix with Residential garage doors. Contact us today to receive a quote! Featuring CFC and HCFC-free polyurethane foam insulation, Model are available with two different levels of thermal performance. The ThermoMark™ 5255 is rated with a U-value* of .0616 (R-value* of 16.22). The ThermoMark™ 5255 features hot-dipped galvanized steel construction that is pre-painted prior to manufacturing with a two-coat system of polyester paint with a finished coat (includes primer). The inside and outside skins are roll-formed and separated with a thermal break to eliminate thermal conductance. Hinge locations have 20-gauge continuous back up plates for fastening. The bottom astragal is a two-piece bulb-type astragal to be attached to the interior skin. ThermoMark™ Model 5255 section ends have end caps of 18-gauge hot-dipped galvanized steel, and a between-section joint seal is standard. *Wayne Dalton uses a calculated door section R-value and U-value for insulated doors. Do you require more information on products and/or services? Are you looking for a quote on a door, ramp or something else we can assist you with? Contact us today for your worry free quote today!